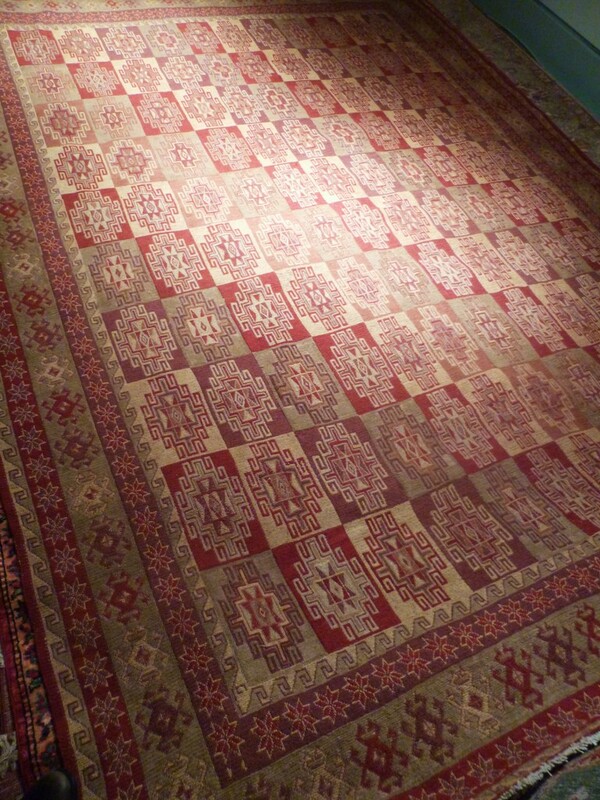 Large red kelim in rusty red, pale grey and beige. 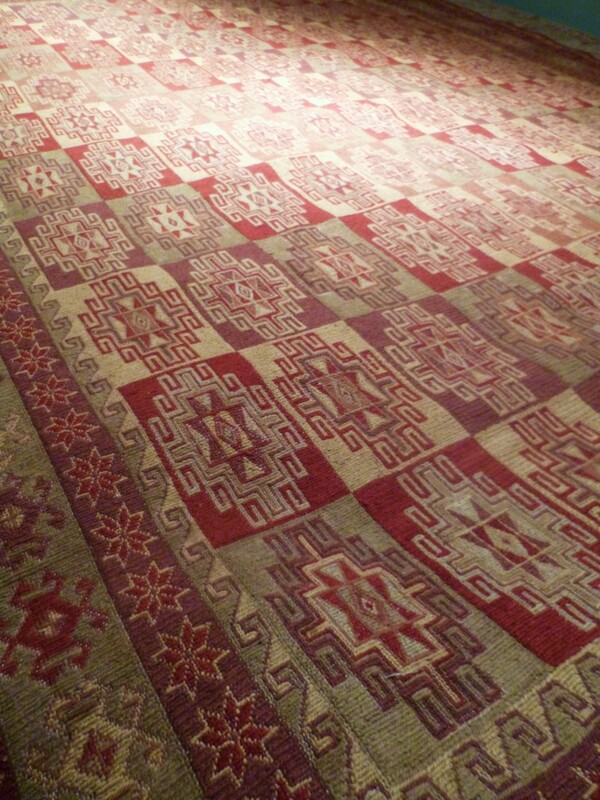 Repeated rectangular frames make up inner field with geometric star border. 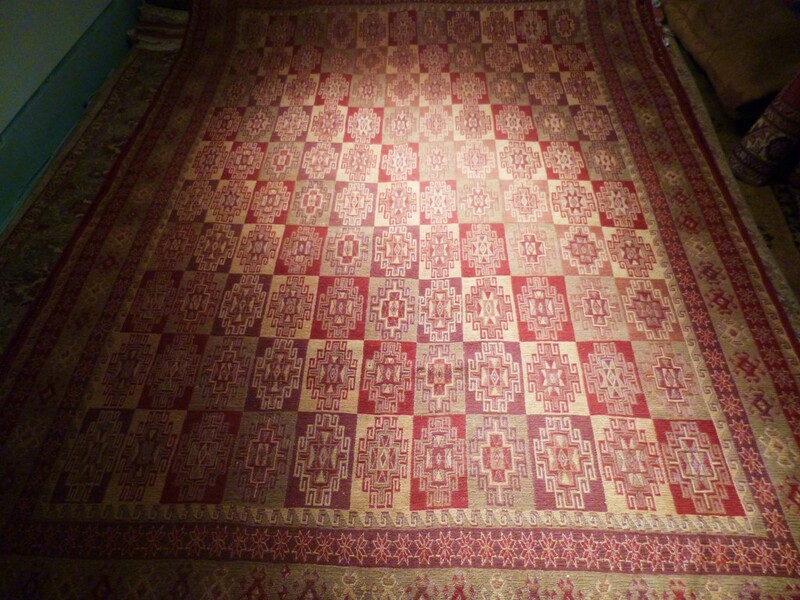 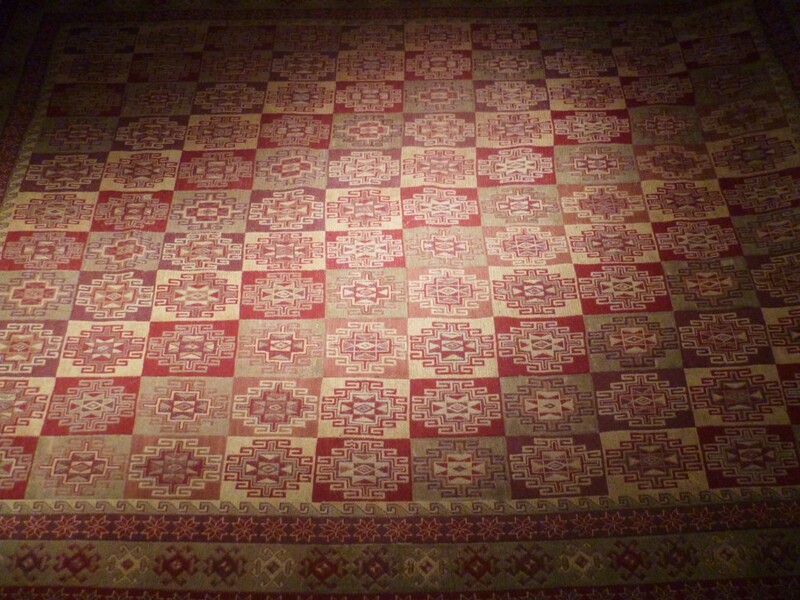 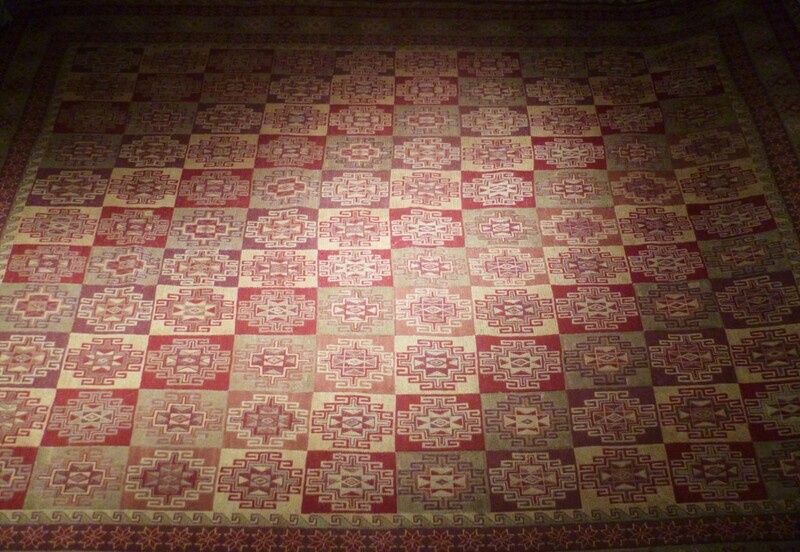 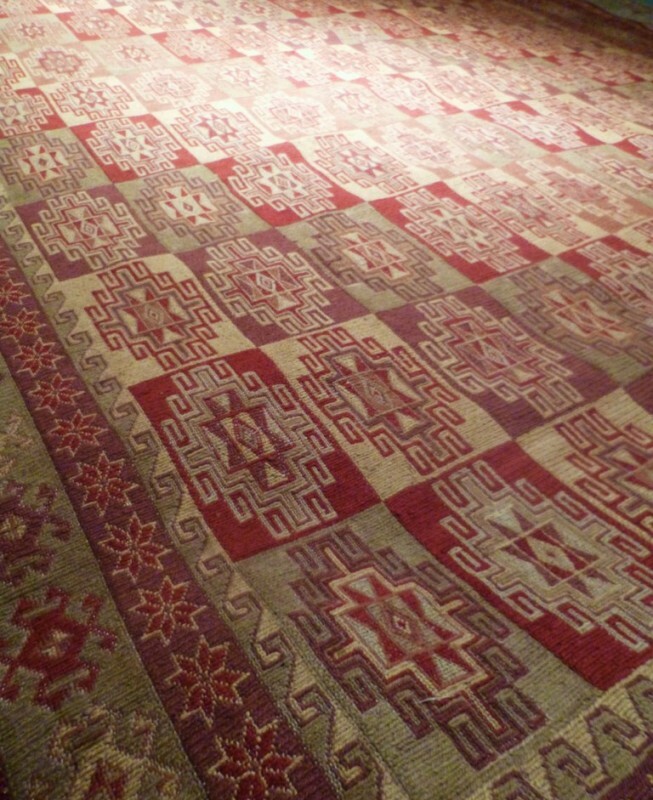 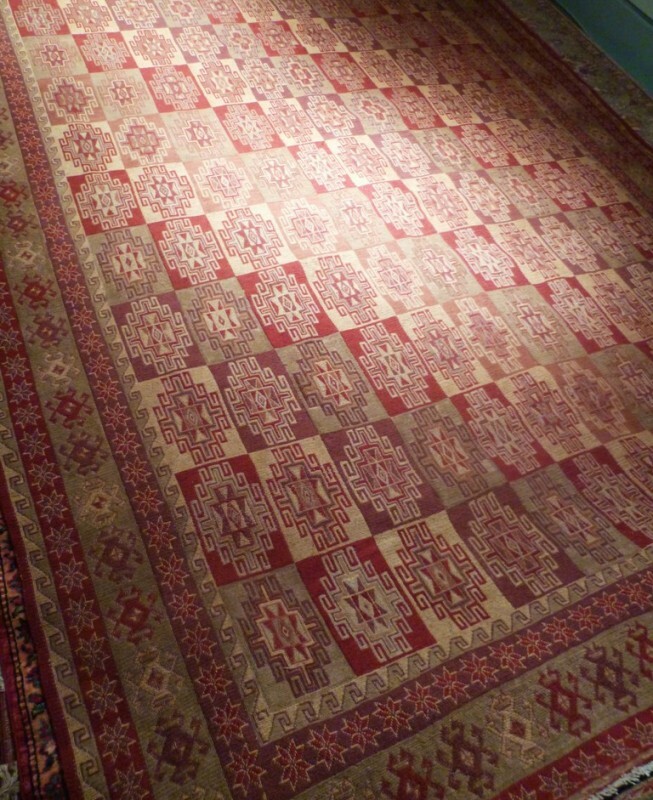 The workmanship in this hand knotted piece is spectacular and the pattern and design rare.